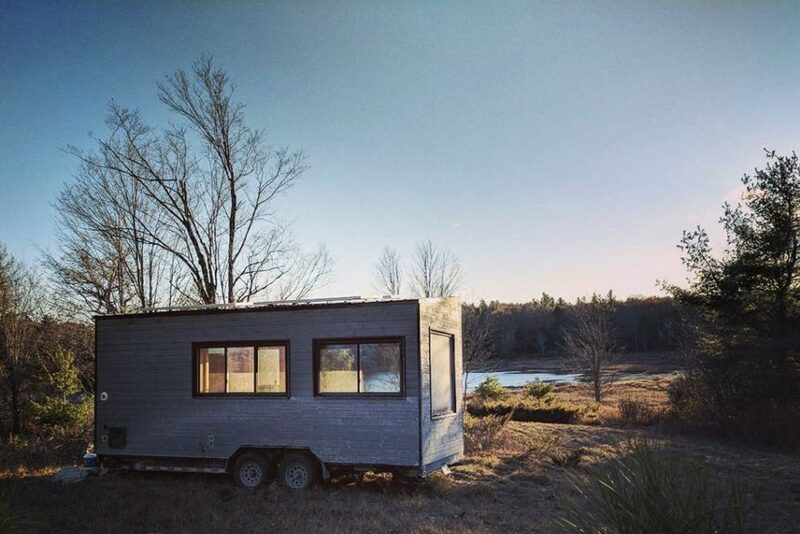 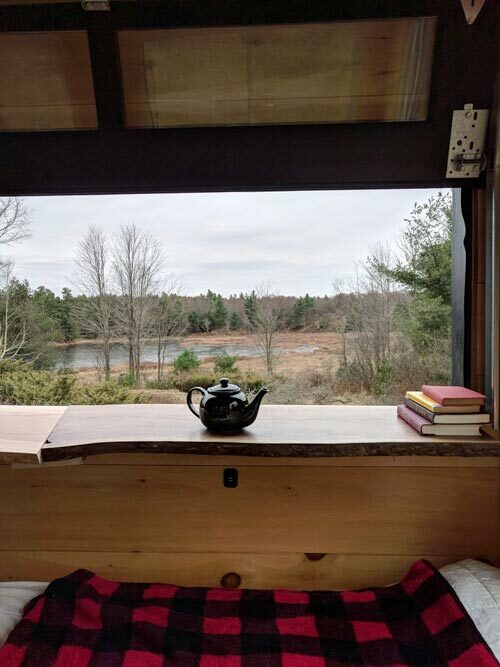 Overlooking a secluded lake on 576 acres of Canadian Shield wilderness is the Mason, an off-grid, solar powered cabin available for nightly rental through Cabinscape. 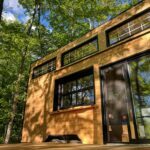 With its panoramic windows, you can enjoy views of the lake and the natural beauty of the Frontenac Spur. 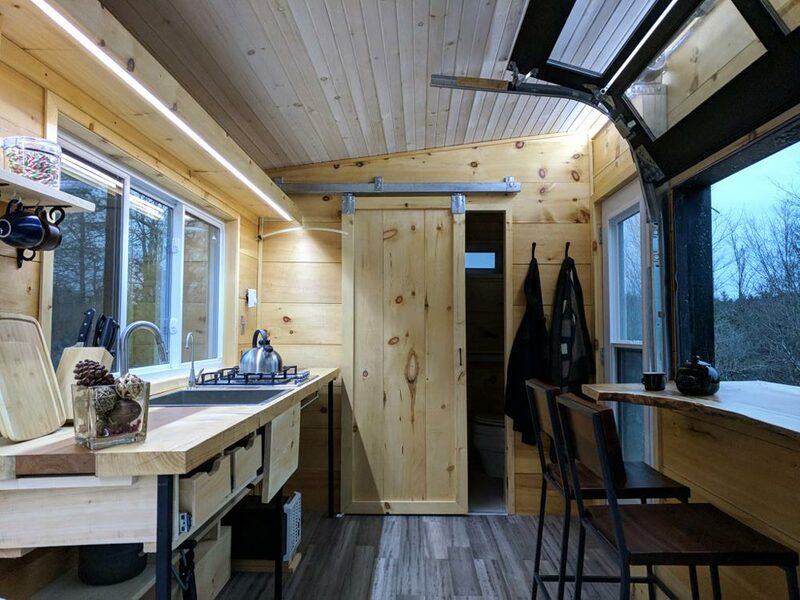 Named after the Canadian naturalist and canoeing icon, Bill Mason, the Mason cabin provides easy access to outdoor activities including hiking, cross country skiing, and snowshoeing along the extensive trails. 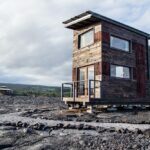 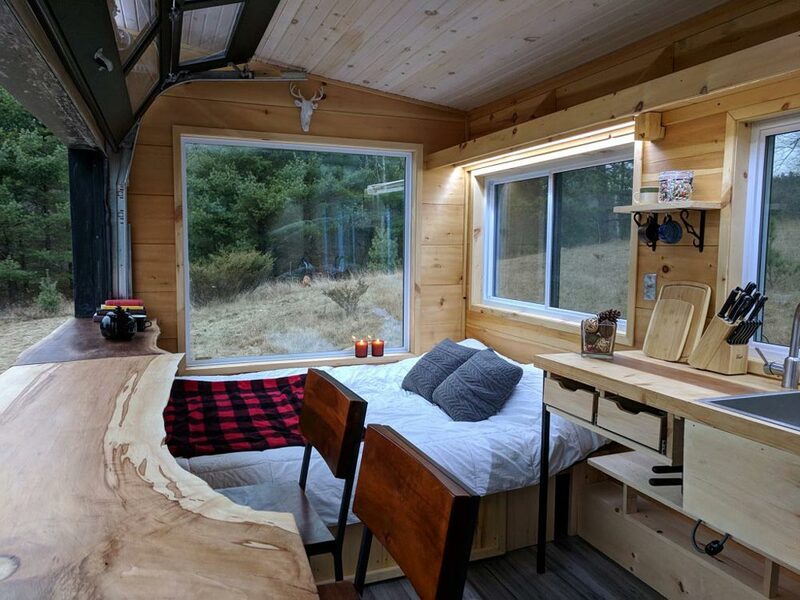 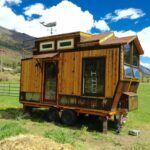 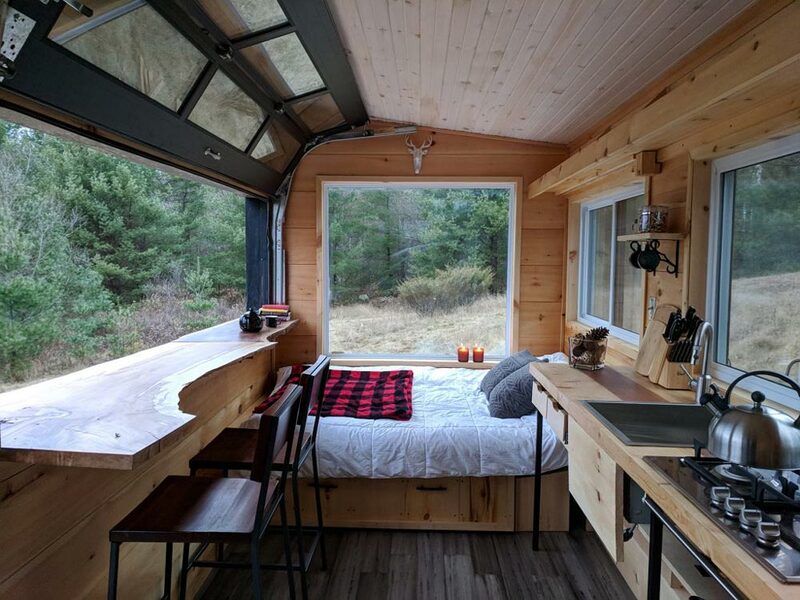 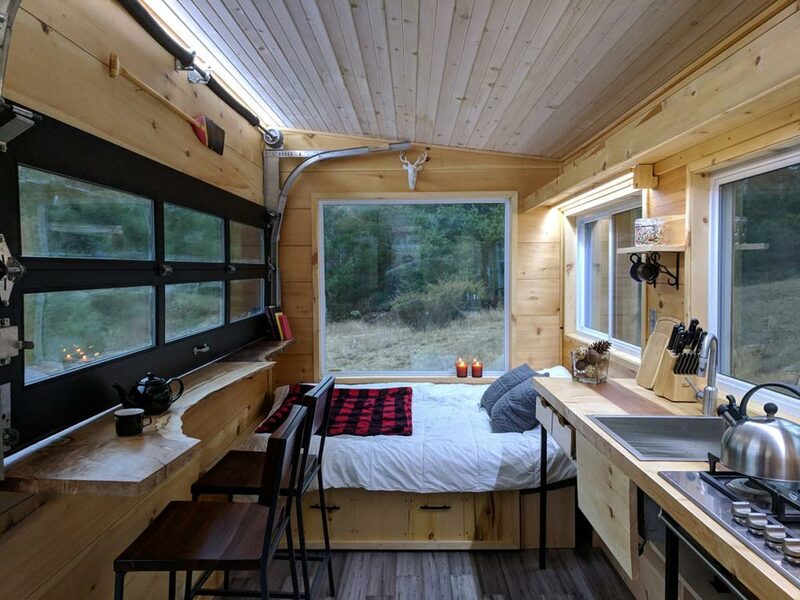 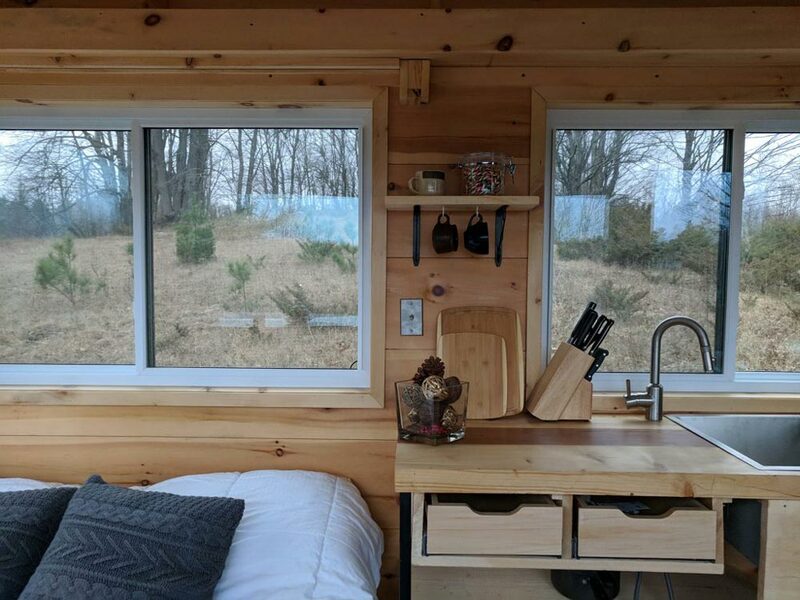 The rustic, minimalist cabin was designed for two people and comes with a queen bed, four burner gas stovetop, refrigerator/freezer, indoor and outdoor showers, and composting toilet. 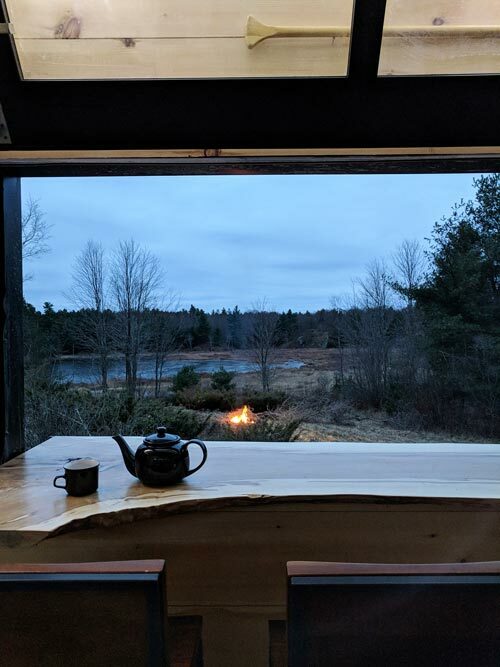 A fire pit and propane BBQ are near the cabin as well. 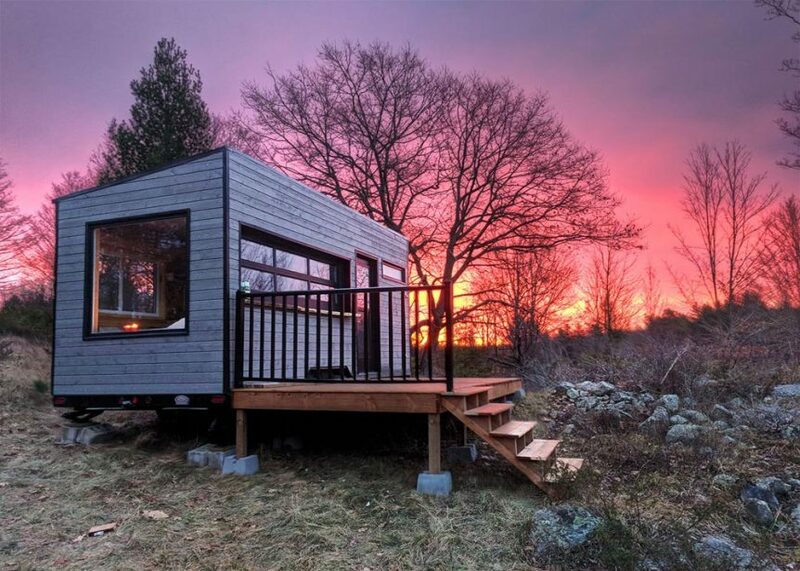 Rates start at $121 CAD per night or $825 CAD per week. 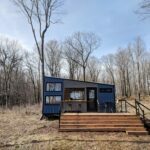 You can check availability and book on Cabinscape. 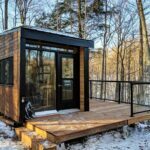 More details about the Mason can be found on the Cabinscape website.